There are mountain goats less hardy, less capable and far less idolised than the Fiat Panda 4x4, but that hasn’t stopped Fiat from striving to cover new ground with an even more capable Panda Cross. Underneath it’s the same as a regular Panda 4x4, which means you’ll find a plucky pair of diesel and TwinAir petrol engines to choose from and a Torque on Demand 4x4 system capable of scrabbling the jacked-up supermini out of the trickiest situations. 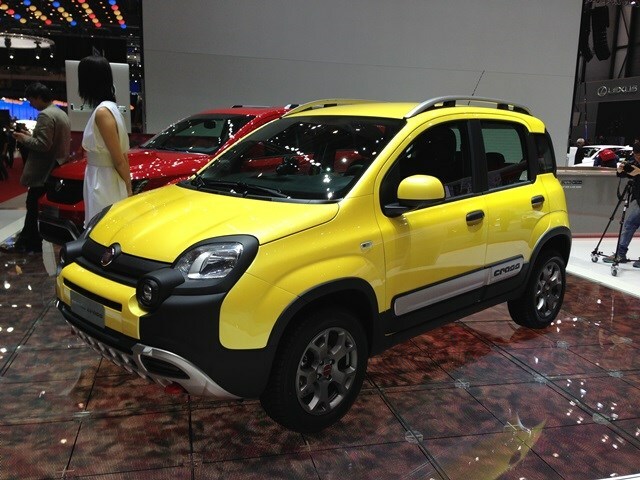 While the standard Panda 4x4 already sports a raised ride height and tough body cladding the Cross has been pumping its iron down the gym – the cladding is more extreme than before and it stands taller too. That helps improve the approach and departure angles and along with the oversized tyres wrapped round the 15-inch alloy wheels it promises to make the most of its three terrain modes – selected from inside the cabin depending on what challenges you’re faced for. Of course here in the UK most will have to struggle with the high kerbs at Waitrose and the occasional sandy beach car park, nothing else. Still, it’s nice to know you can. Fiat also announced the new 2014 range of 500 models, including a new, 103bhp, 0.9-litre TwinAir petrol engine that returns a claimed 67mpg and emits 99g/km of CO2, making it very cheap to tax. 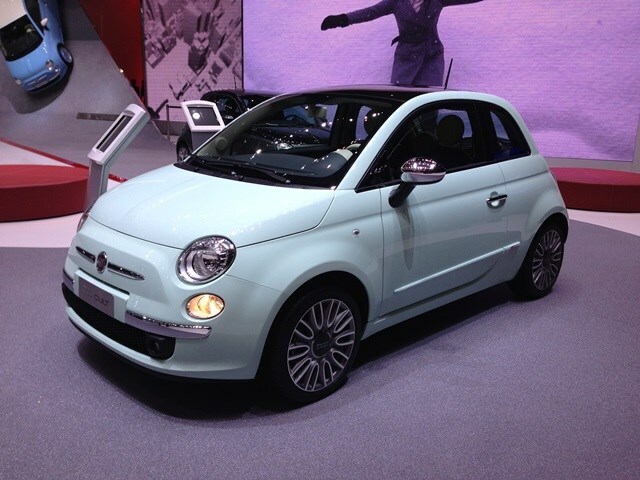 There's a new trim for the 500 too and a special 500L Beats. Cult spec cars get everything from Lounge trim, with the addition of special 16-inch alloys, leather seats, a gloss black roof and rear parking sensors. The entire engine range is available for this model. 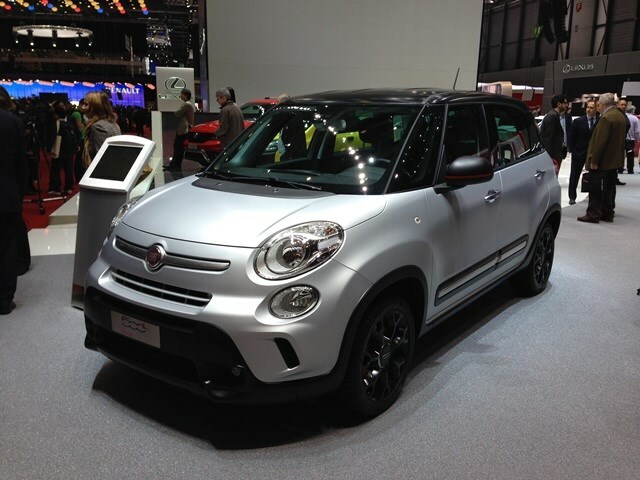 The Beats 500L is a new range-topping trim level with the highlight being a 7-speaker, 520Watt Beats Audio stereo system. 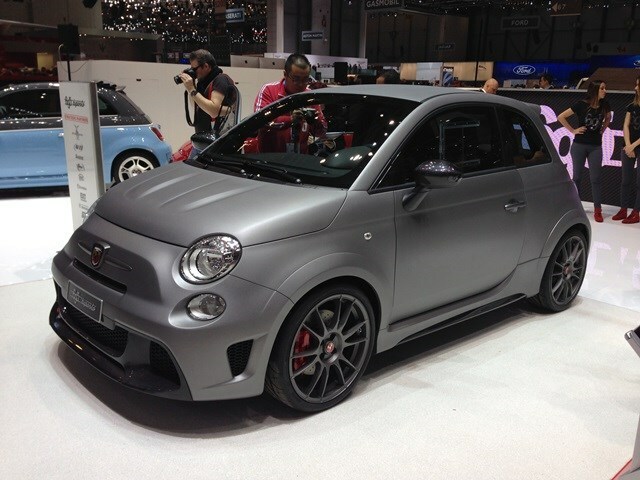 This, according to Abarth, is the world’s smallest supercar. It’s called the 695 Biposto and is to all intents and purposes a road-going version of the one-make Abarth Trophy race car. It’s the fastest and most powerful street-legal Abarth ever made and features the same shock absorbers, seats and even the dog-ring gearbox as the racing car – expect it to be a rather noisy driving experience. Under the bonnet is the same 1.4-litre petrol engine as the Abarth 595 road car but with the total power output wound up to a heady 190bhp. Thanks to plentiful use of carbon fibre and other composite materials, the Biposto weighs only 997kg and gets from 0-62mph in 5.9 seconds. Pricing is yet to be confirmed but with expensive components such as a large carbon diffuser and complex exhaust system, don’t expect it to be cheap. Despite that, however, an Abarth spokesman tells us the Biposto won’t be a low-volume car built in a tiny handful of numbers, but another addition to the Abarth range that could be built in relatively large numbers should the demand be there. Elsewhere in the world of Abarth, the 595 is now available with further exterior colour schemes including two-tone finishes and the new digital infotainment screen fitted to 2014 model-year Alfa Romeos, and this season’s version of the 695 Evoluzione racing car for the one-make Abarth Trophy championship in Europe is also on the stand.